See below for video of product in use. A general purpose surface roughness head, measuring 0.0125 μm to 2.0 μm, the 6212 is compact, rugged and portable. 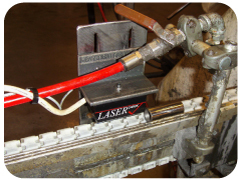 It can be directly and manually used to measure surface roughness, or used as a non-contact device in an automated line. An optional Cylindrical Surface Alignment Kit is available for measuring round parts such as ground engine valves or gudgeon pins easily. 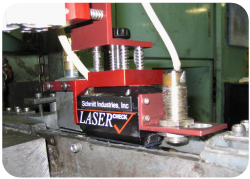 The 6212 can also be mounted using the Lasercheck Automated Mounting Kit to facilitate installation on a production line.